High school. You may have peaked in it, or you may have suffered through it. At any rate, once you are done, you never are forced to go back…unless it is part of your job. This is the situation Jenko and Schmidt find themselves in during 21 Jump Street. Way back in 2005, Jenko (Channing Tatum) and Schmidt (Jonah Hill) were but a few of the average high school stereotypical students. Jenko is the average dumb jock, while Schmidt is a socially inept but smart dude. Being on complete opposite ends of the high school food chain, it isn’t exactly shocking to see these two never interact. The off times they do, it goes as one would expect. Enter 2012, and the two find each other in the police academy. Instead of remaining in high school mode, both end up helping the other with weaknesses they struggle with and ultimately forming a bond that leads to their graduation. After an odd mishap one day on patrol as bike cops, the duo is reassigned to the 21 Jump Street division, a program revitalized from the 80’s. Led under the direction of the always-angry Captain Dickson (Ice Cube), this tag-team is assigned to go undercover as high school students in an effort to snuff out a new drug known as HFS. Sounds easy enough, but 2012 in high school is nothing like 2005. If you have never seen the TV series sharing the same name of this film, do not fret. In all honesty, the only link the show and its remake share is the title. 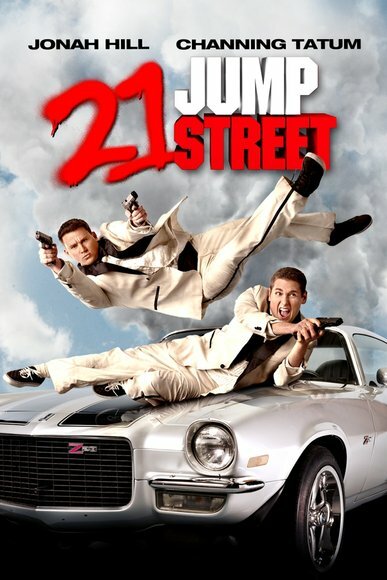 The 2012 version of 21 Jump Street eschews the seriousness and drama from its predecessor and opts for a lighter and humorous take. From start to finish, laughs are to be had at a pretty consistent clip. Within the first few minutes, it is evident that this movie never takes itself too seriously. Whether it be through a simple moment of the main characters locking eyes over expertly timed music cues reminiscent of iconic 80’s movies, or expecting the obvious explosion to occur after shooting numerous flammable objects, it pokes fun at itself, the implausibility of the scenario, and staples of the buddy cop genre. The film also gets commended for going in an unexpected direction. At its core, I got the message of change in the fact that nothing stays the same and what was once cool can easily become outdated. It would have been real easy, and lazy, to keep Jenko as the ultra-suave and straight man while sticking Schmidt as the loser with no chance at progression. Thankfully, it goes a different route. This “meta-ness” alluded to previously extends to the duo themselves. The stereotypes that Jonah Hill and Channing Tatum embody here are in a way what others think about them in real life. Hill to a lot of people is or at least comes off as an insecure and occasionally douchey guy, and Tatum for the longest time (perhaps still) was only thought of as eye candy with not much to offer anywhere else. Maybe I am looking too much into this, and if I am so be it. It’s just something that worked into my mind when watching. Being able and willing to take shots at yourself is well and good, but the characters and the actors playing those said characters still have to be interesting enough to make it matter. Luckily, they are in 21 Jump Street. Jonah Hill has proven his comedic ability previously before this, but he is in top-notch form here. Not so much a shock to see him score so many laughs, but it was refreshing to see his character with a fair amount of heft. His character allows for more connection with the audience, as many have been there at some point in time. Channing Tatum is the real revelation in the film from a comedic standpoint. He gets many great lines and serves them up with exceptional delivery. He is really shaping as a versatile guy in Hollywood, something I never would have thought possible during his roles in Coach Carter and Step Up. As a duo, their chemistry was infectious and appeared natural, which is a must for buddy cop films. The supporting cast is nothing to scoff at though. Rob Riggle, Dave Franco, Ellie Kemper, Brie Larson, DeRay Davis, and a few others bring humorous moments to varying degrees. 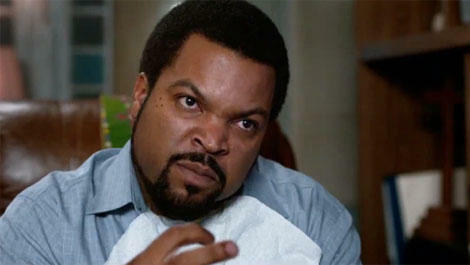 But Ice Cube as the police captain steals the show as Captain Dickson every time he appears on screen. Based on a stereotype like Tatum and Hill’s characters, he is consistently angry throughout the movie in the most over-the-top way. His delivery and timing is flawless, and whenever he spars with Jenko and Schmidt is a riot. As a whole, the dialogue and writing is pretty strong, if occasionally overdependent on the F bomb. For the most part it works more often than not, and it it pretty realistic of what is heard in most high schools. There were just a few times where it came across as a crutch, but it is to be expected with a R-rated comedy. What wasn’t expected in the way it was carried out happened to be the last third of the movie. Unlike the previous thirds, the last 30 or so minutes serves more as an action movie. Not that there is not still comedy to be had, but the tone obviously shifts and it is a bit jarring to see blood spraying and bodies dropping. More of a re-imagining than an remake/reboot, the film incarnation of 21 Jump Street is good entertainment through and through, bolstered by self-referential humor and a strong (covalent) bond between main characters. Maybe going back to high school isn’t such a bad thing. Photo credits go to sonypictures.com, movieforums.com, & totalfilm.com. I am not sure if I think Tatum is versatile yet due to a big fear that Jupiter Ascending will stink because of him and Mila Kunis in the lead roles. He is great in a comedy like this because his acting style blends with him being a big dummy very well! Hopefully he gets better and better over time…. I thought this was good and a re-watch is certainly in store due to the second one coming out soon! I am hoping JA can surprise. Maybe jumped the gun a bit calling Tatum versatile but the fact to me is he has more talent than I thought in his early career. I too am looking forward to 22 Jump Street! He did improve massively! I’ll agree with that! Just hasn’t won me over in anything other than comedies yet!